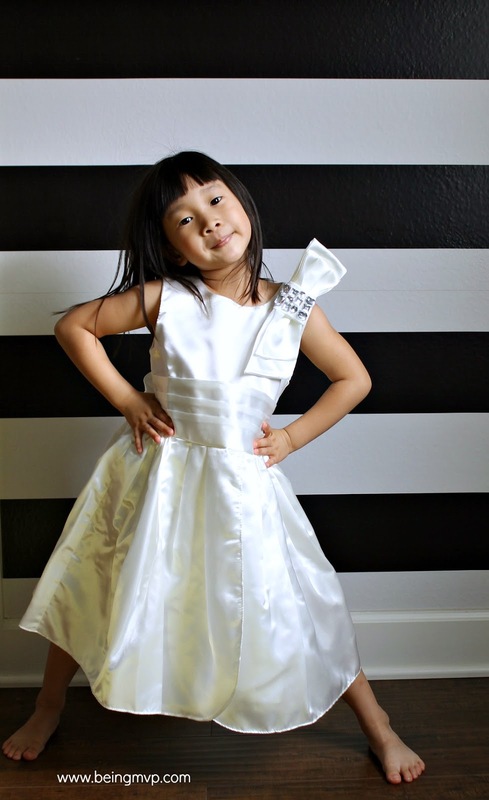 Disclosure: I received the Ivory Girls Children Frock Dress from Noori Dresses for review. All opinions are my own. I can't believe my wee little Kenzie is going to be graduating preschool in just over a month. So that means she will need a special white dress for the big day. Noori Dresses offers a vast selection of special occasion dresses at reasonable prices. They are also local to me so super cool! The Ivory Girls Children Frock Dress is going to be perfect when she shines up on the stage to receive her praise. Kenzie is wearing a 5/6 size (she usually wears a 5) and it looks beautiful on her. The bow detail with bling on the shoulder makes the dress extra special plus it is removable for a second look. The satin material is of good quality as is the pleat detail on the waist. 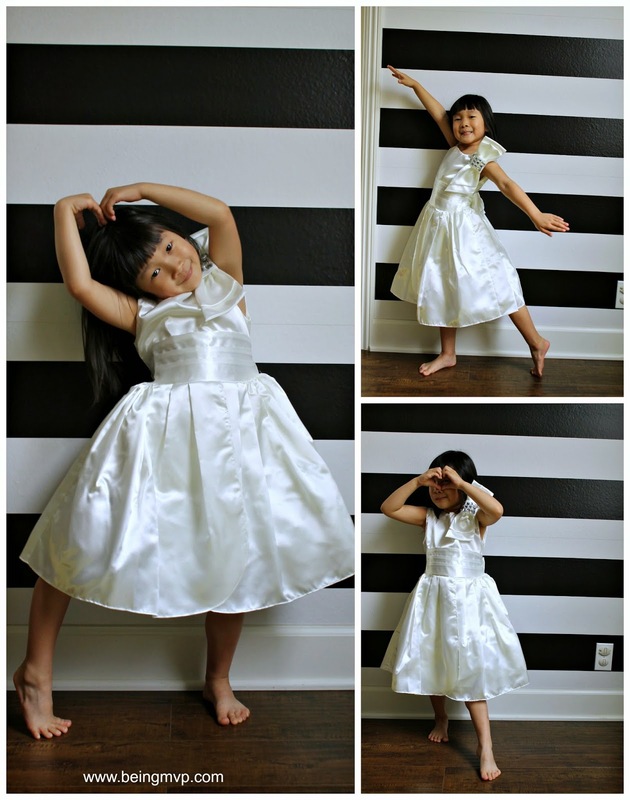 Kenzie loves to twirl and dance in her Noori dress and can't wait to rock it on graduation day. Noori Dresses offers sizes from infant to 18. Your precious gal can don a fabulous dress for any special occasion through her childhood on up. They also have an affordable collection of handsome suits for your little guy. Does your little one have a special occasion coming up? What are some of your favorite Noori dresses? This dress is so pretty, love the detailing! I love how many different colors they have on there site. Really loving the green sage flower girl pretty ball gown. Would be perfect for a daddy daughter dance. Very pretty! I love the classic look of this dress. There are so many lovely choices for special occasions. I like the Rich Poly Dupioni in Champagne. I really love the Fuchsia Lace Dress. Super cute dress! I love the color! Congrats to Kenzie! That is a gorgeous dress and she looks adorable in it!